This Post has already been read 562 times. 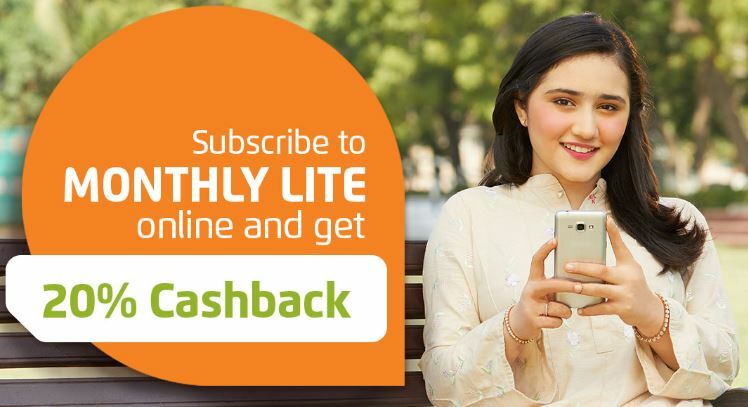 Now subscribe to Ufone‘s Monthly Lite Cashback offer from Ufone website or My Ufone App and enjoy a 20% cashback i.e Rs. 50. Customer will immediately receive Rs. 50 as cashback which can be utilized for any service.